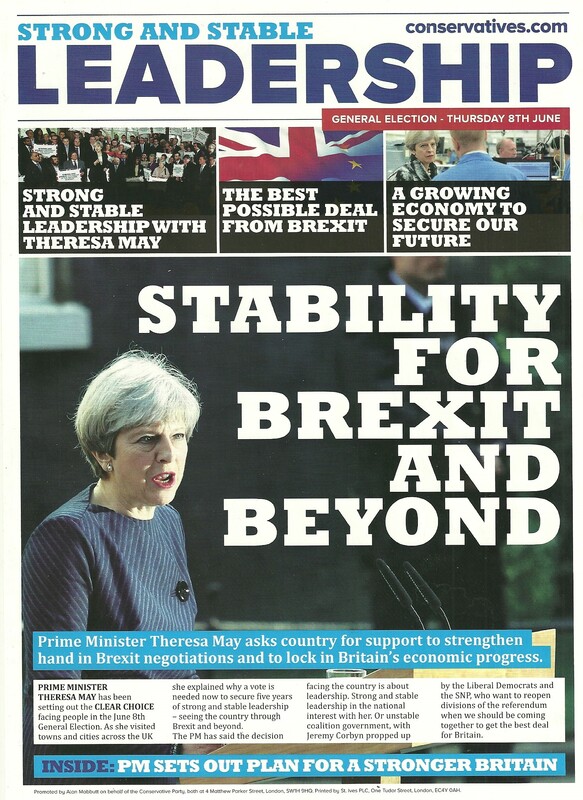 From the 2017 UK Election a leaflet from the Conservative Party. 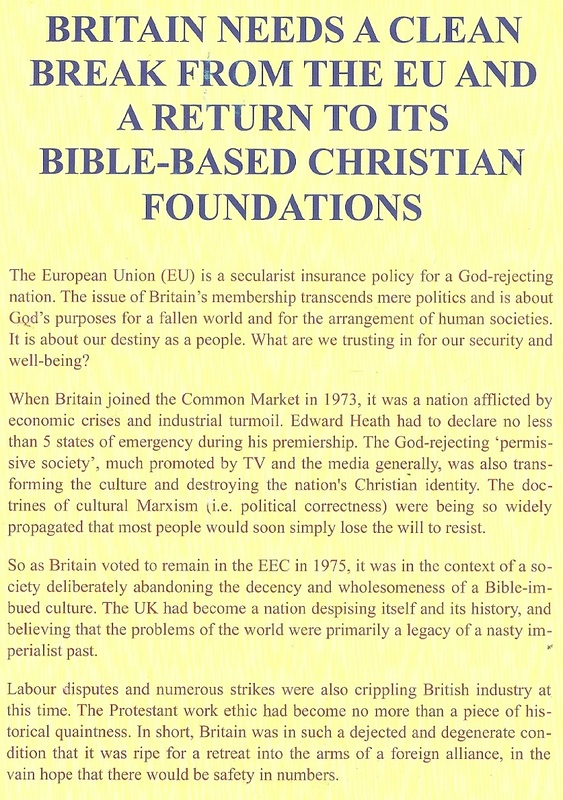 Looking from March 2019 it’s an incredible read, the certainty in it. 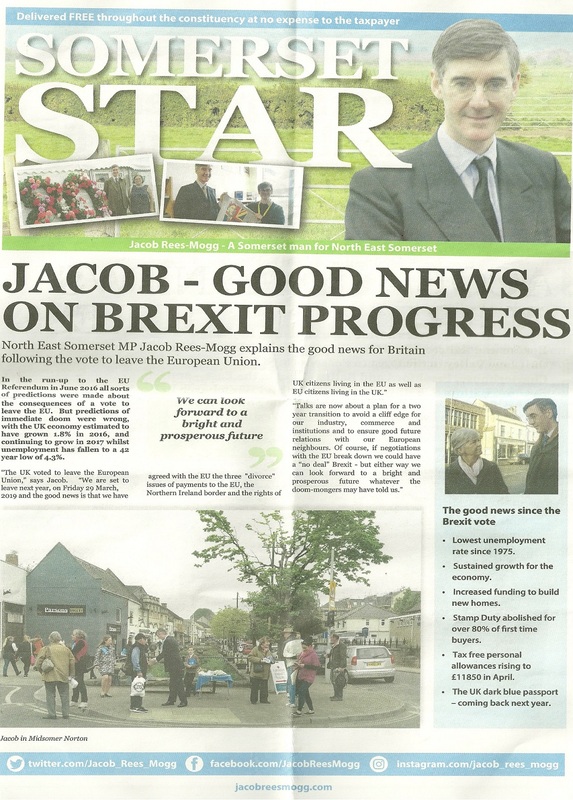 The front page of a recent issue of Jacob Rees Mogg Newspaper “The Somerset Star” giving details of how well Brexit is going. 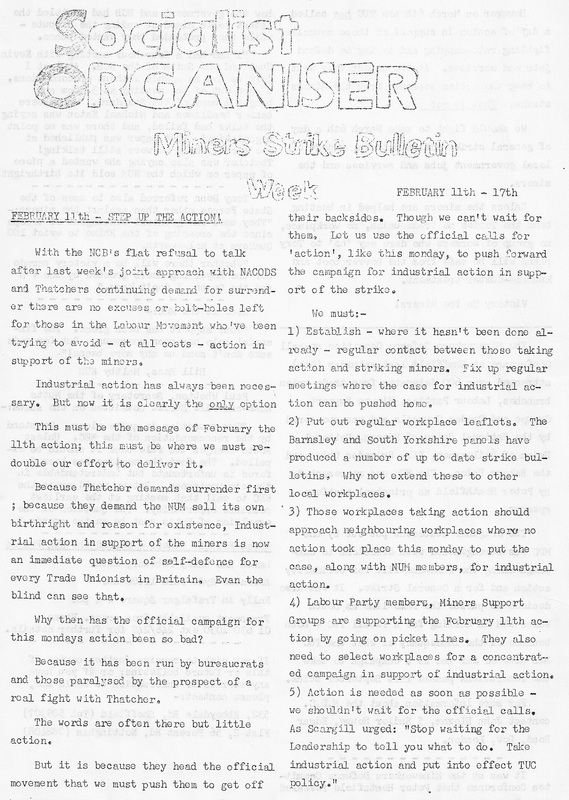 A newsletter “Socialist Organiser -Miners Strike Bulletin” 11th-17th February from the Miners Strike in the UK in 1985. It gives details of forthcoming strike action and other pieces about the miners struggle. 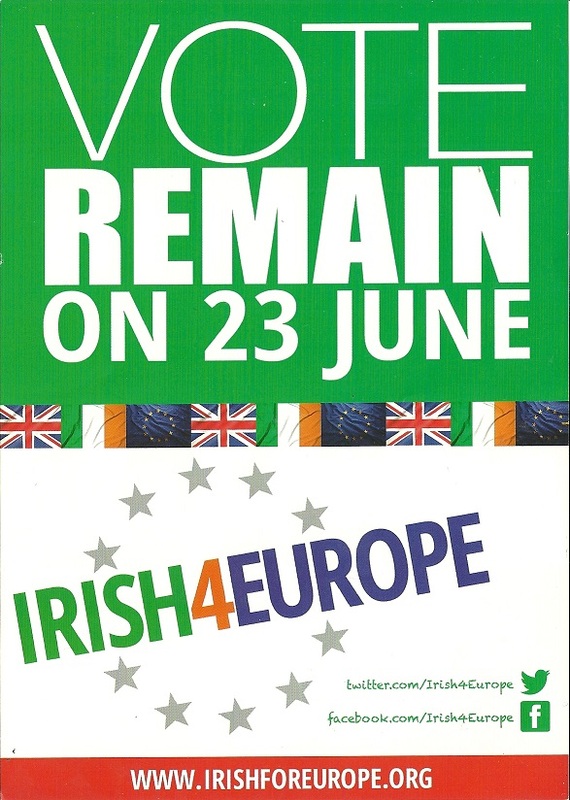 “Vote Remain” leaflet from Irish4Europe urging a Remain vote in the UK Referendum on EU Membership. 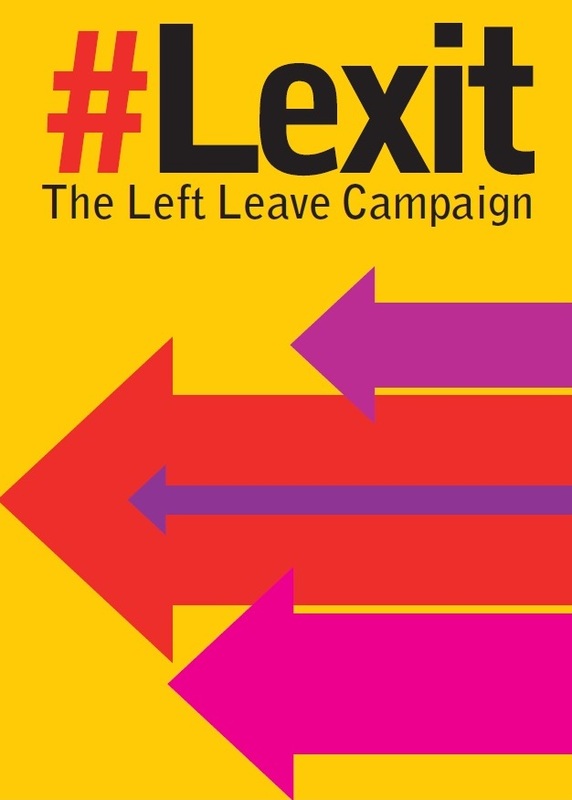 From the UK Brexit Referendum a leaflet from Lexit – The Left Leave Campaign.